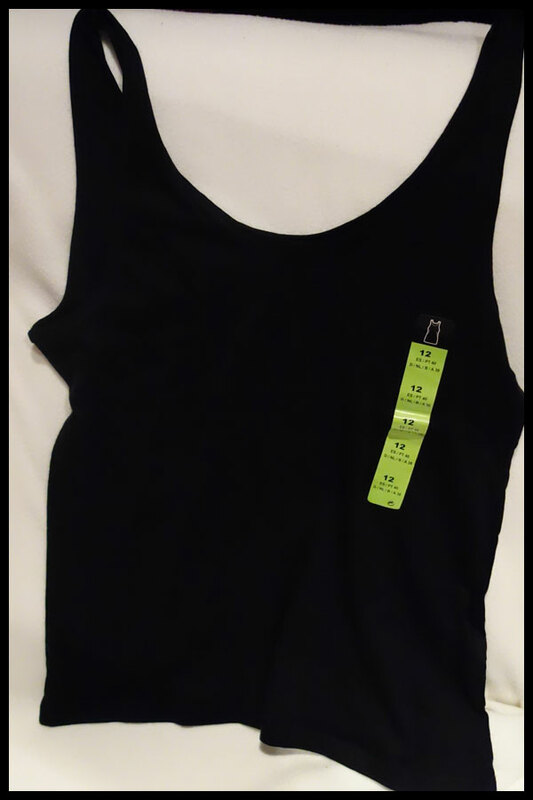 The main thing I went in for was a black and a white vest top as I really like the ones they do with the ribbed material as not that many places seem to have done that in recent years and my black and white ones have become discoloured because I wear them so much. I saw this design with the lace edges and really liked it, it reminds me of a really nice purple one I bought from Tesco a couple of years ago that I’ve worn a lot and liked the effect of but these only cost £2.50 each. These come to just above pocket level but below the waistband of most of my jeans. 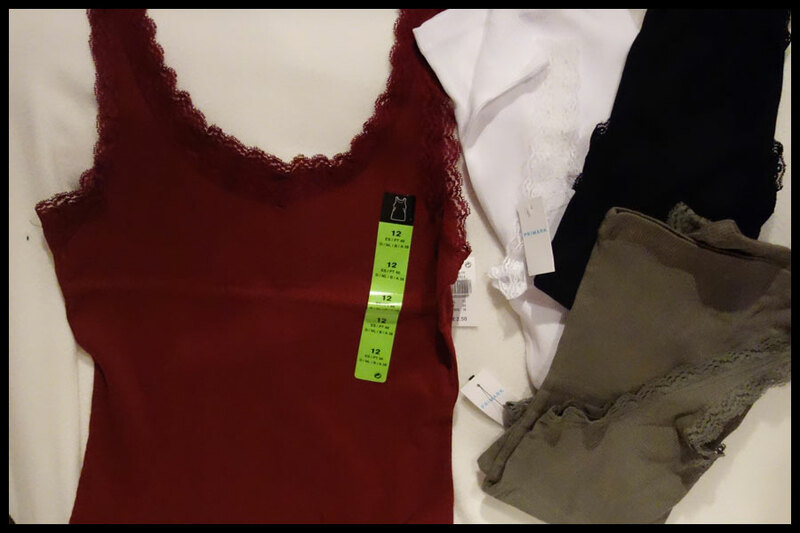 I love burgundy and dark red tops and have worn them a lot recently so that and the khaki one were bought as tops to wear in the summer whereas I bought the white and black ones more to layer now as well as as simple tops in the summer. 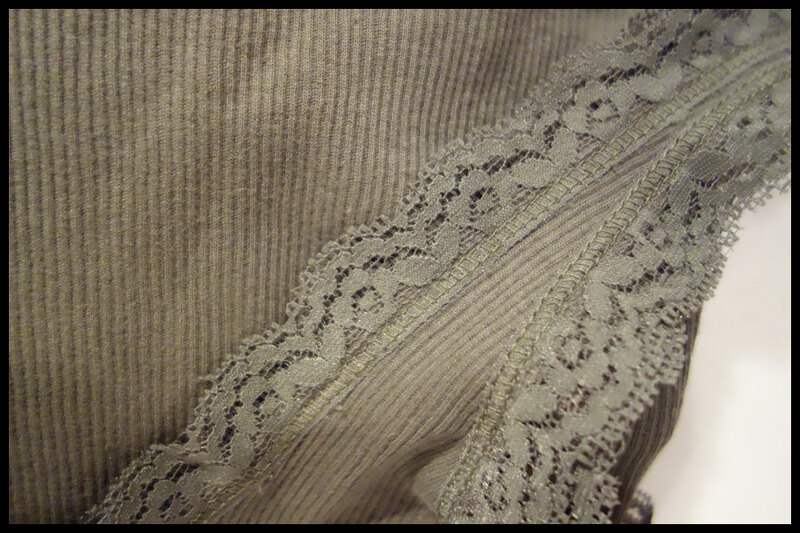 I love the look of sheer tops that are around at the moment with a vest underneath and the lace edge adds a bit of a different texture if you can see it through which I like on a couple I have. I bought a size 12 in all of them and I’d say these are definitely true to size compared to general UK sizes. The fact they’re ribbed means that have a bit of give but with these if you get the size you normally are they’re fitted but not tight and the ribbed detail is still obvious. These are all 100% cotton so they should be nice and breathable in the summer and going by past experience with their vest tops they’re nice and cool. This is a simple black top, not as fitted as the others but also cheaper at £1.80. This is also 100% cotton so should be nice and cool in the summer, if we get one in the UK, and the fact it’s a bit looser should help with that too. If you wanted these really fitted I’d recommend going for a different style rather than going a size down. They are fairly stretchy but not as much as the other style I bought, they aren’t as fitted around the middle but I find they are around the chest about the same as most size 12 tops. Length wise this falls to just below pocket level on jeans so a nice length to cover your middle if you want. 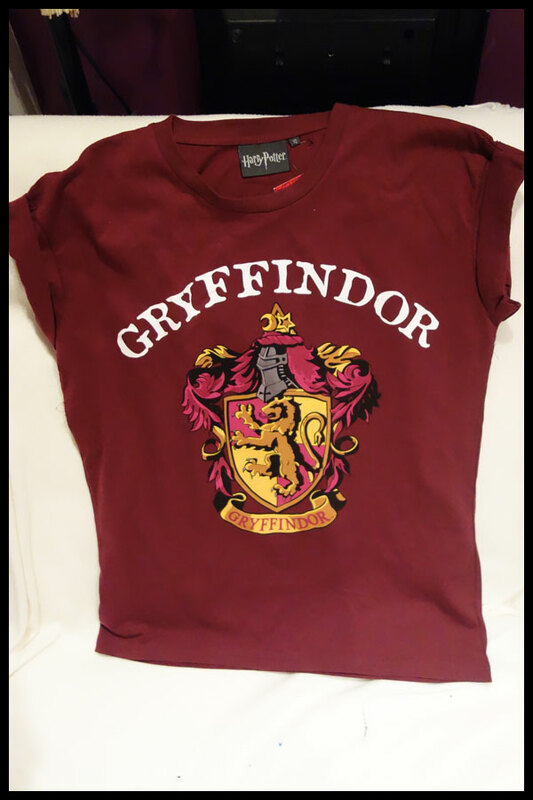 I’ve heard about the Harry Potter t-shirts a few times on forums the past year or so and they’ve never had them in stock in my size so when I saw this last Gryffindor one there I had to get it. I wish they’d have had a Slytherin or Hufflepuff as well, Slytherin especially as it’s my house in Pottermore. This does go with the burgundy/dark red tops I’m loving at the moment so I’m really happy with that. 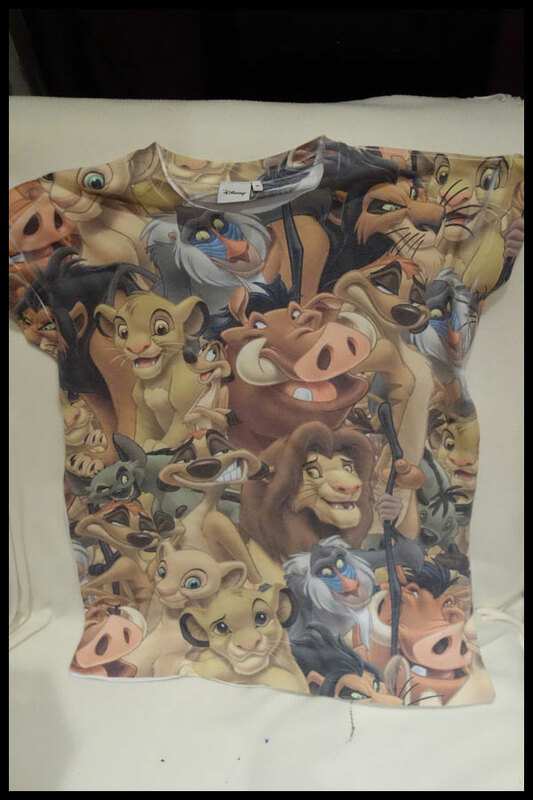 I really like the shape of these tops, I think it’s the same style in all of the t-shirts they do that are affiliated with other companies like Disney and Marvel. The fold over on the sleeves and the fact that it’s just two pieces of fabric rather than having separate bits on the arms as well gives it a really nice shape to me. I was told in advance that the sizes are large so I went for a 10 when I’m normally a 12 and I’m so glad I did. This fits really well as a fairly fitted top without being too tight and still feels like a t-shirt rather than a more shaped top. The Gryffindor shield on the front feels like it’s printed in a way that will mean the print lasts well and the colours are so vibrant and the exact colours I’d imagine from the descriptions in the book of the flags and shields for the house. This top is also 100% cotton though it does feel a thicker cotton than the other tops and it cost £6, I think that’s the price of all of the t-shirts they do in partner with the other companies. This was a top I wasn’t planning on getting, of all the things I bought I would say it is the least planned as I’ve wanted to get something like the others for a while. I saw this and had to get it after I’d gone to the racks to look at the Griffindor one. Growing up the Lion King was one of my favourite Disney movies and seeing this I had to get it. I love the fact it has almost all of the main characters, though there are a couple missing I would like to have on there. I see no Mufasa or Sarabi, Simba’s parents, I can understand maybe not including his mother but Mufasa should surely be in there. It has the same shape as the Gryffindor one though it is 50% cotton 50% polyester. I’d say this is another one that you should go the size down for though I didn’t know this at the time and got a 12. Unfortunately I tried this one on before the Gryffindor one and the tag came off when it got caught in my hair but I don’t mind the fact it’s a bit looser, I’ll still wear it. This is slightly off topic but I thought I’d mention it as it’s Disney, on amazon.co.uk they currently have a buy one get one free on Disney DVDs as long as they’re sold by Amazon themselves. I don’t know if this is an offer on amazon.com as well but thought I would mention it in case anyone was interested, I’m definitely going to be buying at least two as it’s such a great deal and there are a few more of the limited edition ones I really want. For the past few months I’ve been looking for a throw or something to cover my futon as the old black one I had made my room too dark after changing my curtains and the cream one just shows up every little mark which is not great when I was sitting on it to paint. 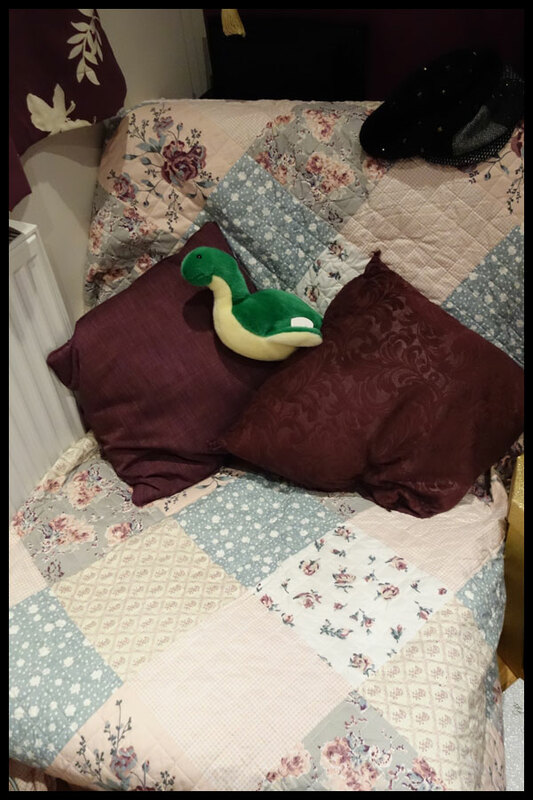 Before going into Primark the best thing I found was a bedspread from John Lewis and cost £80, this one cost £17 so a big saving and I love how it looks in my room. 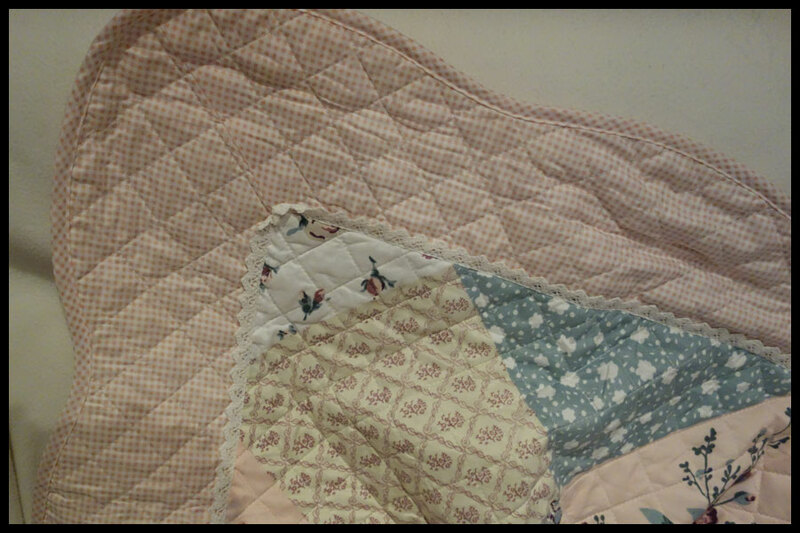 The pattern on this is printed on, rather than having individual squares sewn on like in traditional patchwork quilts and bedspreads. 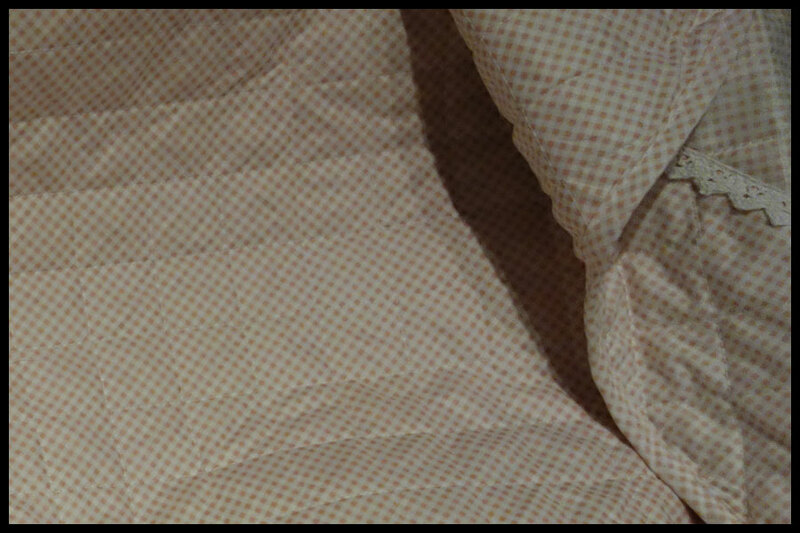 There are a range of different patte rns though they are repeated every so often, it doesn’t matter much to me but on a larger bed or a flatter surface it may be more obvious. 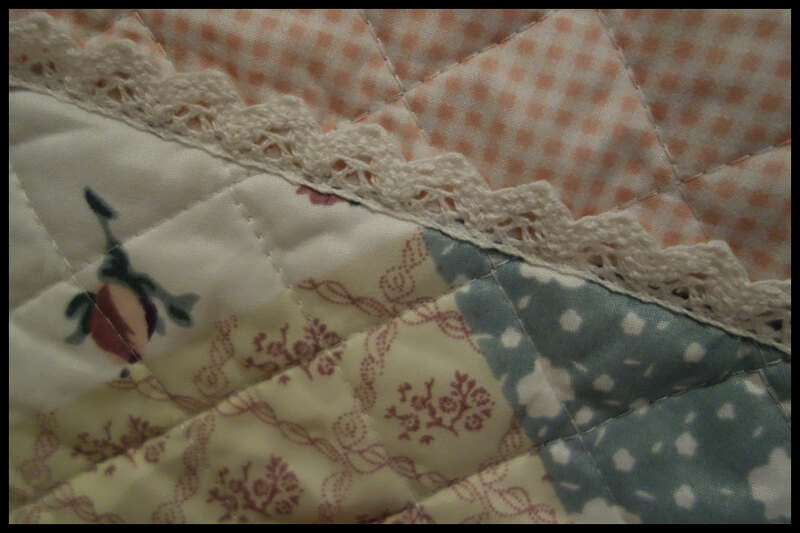 There is a border of plain pale pink check with a scalloped edge which does look quite nice but I wouldn’t be that fond of if you could see it, as it is it’s tucked around the edges of the futon cushion so it doesn’t matter to me. 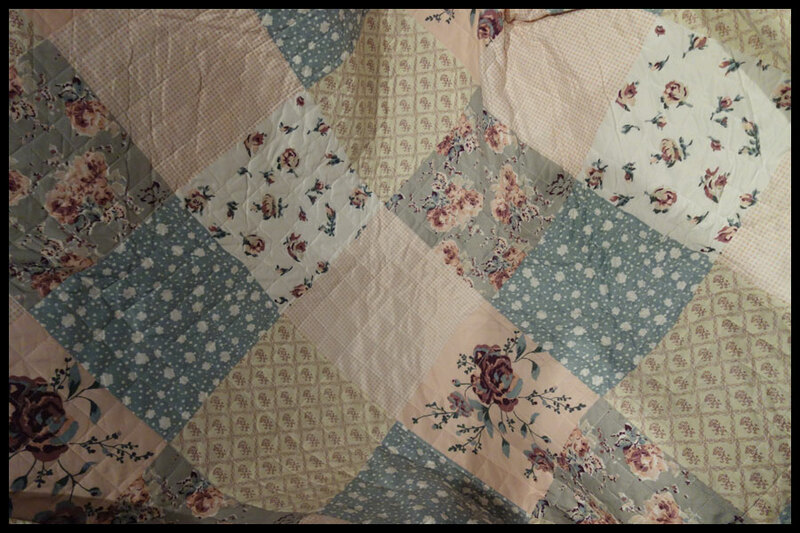 There is a really nice lace border inside this that separates the patchwork part from this border and I k ind of wish this bit was visible on my futon, it’s very thick and feels like embroidery but from a distance has a lace effect, to me anyway. One thing that I really liked about this compared to some others I’ve seen that are quite a bit more expensive is the fact the stitching that covers the whole bedspread is in a square design rather than the squiggly patterns that some seem to go for and I think distracts me from the pattern of the actual patches. 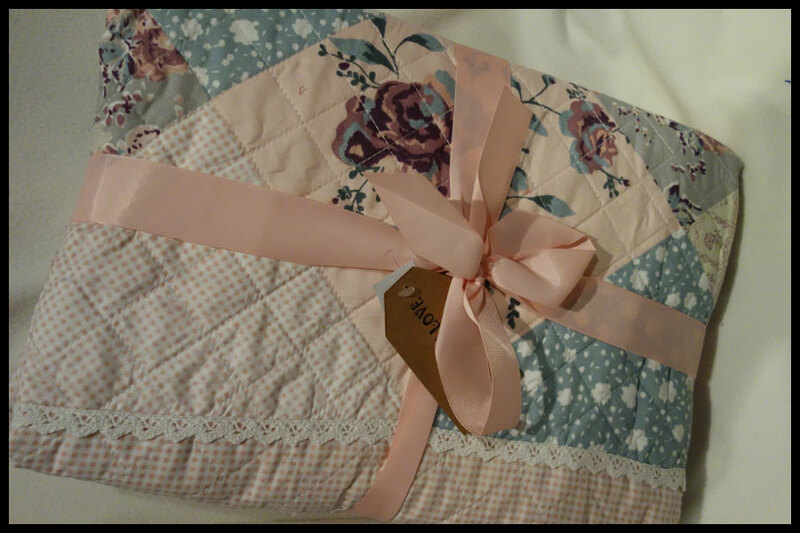 The bedspread is 160cm x 220 cm which I think is a single size, it does not look like it would fit on my double bed unless the shorter length is from top to bottom and it is mo re decorative with some nice sheets underneath. 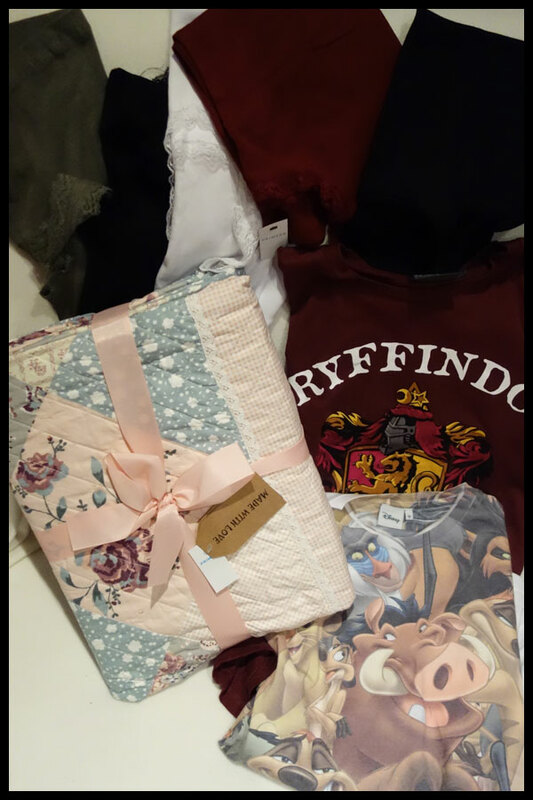 So far I really like everything I bought, the bedspread especially I think was a great find though I do really like the two t-shirts even if they weren’t planned. For the vest tops I always like to have some for summer and these are such a good price and I know from the past that they’re good quality and last well, at least three or four years of wearing them a lot. I wish that Primark had a website you could buy from though I do understand why they don’t considering you can go in one day and there’s a rack of a certain dress then three days later there’s one or two in a jumble of other dresses that have one or two left as well. If you want anything I’ve posted about and live near one I’d recommend going in quickly, the vest tops may be around for a few weeks but I know last year the plain ribbed ones were only in the store near me for three or four weeks with all sizes before they started to be only three or four sizes left.